Tom Lang is the Wichita Falls District Fisheries Supervisor for the Texas Parks and Wildlife Department. As a part of his duties at TPWD he has helped establish three Chapters of Friends of Reservoirs to conduct projects to enhance, restore, and revitalize fish habitat within his District’s reservoirs. Most notably he is helping to lead a team of dedicated volunteers and partners to conduct a holistic lake revitalization of Texas’ 3rd oldest lake, Lake Wichita. Tom is a certified Fisheries Professional and has been a dedicated and active servant of AFS at all levels. Tom served the Purdue Sub-Unit as Secretary/Treasurer, Vice-President, and was awarded their Outstanding Member Award. He served as President of the Purdue Forestry and Natural Resources Department Student Council. He served the UAPB Sub-Unit as Vice-President and President. Tom has served on several AFS Society-level committees including the External Affairs, Executive Director Succession, Membership Concerns, Nominating, and Management Committees, and Special Committee to Enhance the Fisheries Profession. He served on the planning committees of the 137th and 143rd AFS Annual Meetings, the 2nd International Catfish Symposium. Tom has served as President of the Aquatic Resources Education Association. He is a Past-President of the AFS Socioeconomics Section. He currently serves on the Board of Directors for a non-profit dedicated to keeping families fishing, “Fishing’s Future.” He currently represents AFS on the National Fish Habitat Partnerships Board. 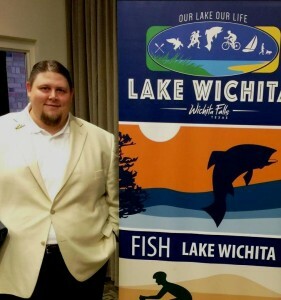 Recent honors include being named to the 2015 Times Record News “20 Under 40”, the Lake Wichita project being named to the 2016 “10 Waters to Watch” by the National Fish Habitat Partnership, he was named an inaugural “Friend of Reservoirs” in 2016 by the Reservoir Fish Habitat Partnership, and received the 2017 Outstanding Fisheries Worker Award in Fisheries Administration by the Texas Chapter of the American Fisheries Society. Aside from fisheries, the true love of Tom’s life is his wife Vanessa and their four children, Hunter, River, Fisher, and Meadow. He also enjoys hunting, fishing, and coaching youth wrestling. 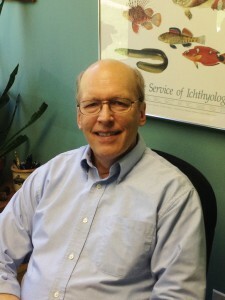 Tom Bigford retired in late 2017 from his post as Policy Director at the American Fisheries Society in Bethesda, Maryland. His primary role was to use the best scientific knowledge to inform management and related policies affecting freshwater and marine fish. He also serves as immediate past-President of the AFS Fish Habitat Section. Prior to joining AFS in early 2014, he worked with the NOAA/National Marine Fisheries Service (1984-2014), spending the entire time working on habitat conservation in regional and headquarters offices. He also worked in NOAA headquarters (1980-1984), consulted with the Center for Natural Areas (1977-1980), and did marine research at the EPA laboratory in Narragansett, Rhode Island (1974-1977). Tom is also very involved with several non-profit groups. He’s been a member of The Coastal Society since 1976, was elected to its board as Secretary and Director (twice), served as their first Executive Director, edited their quarterly Bulletin for 17 years, served as President in 2015, and most recently served as Past-President. 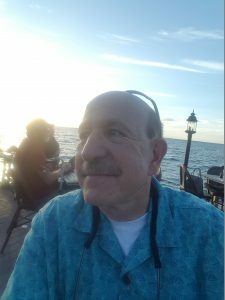 Tom is also active with the Land Conservancy of Western Michigan and the Pere Marquette Watershed Council (both near where he grew up), the Friends of Sligo Creek (near where he lives), the Coastal and Estuarine Research Federation, and AFS. Tom holds an Adjunct Faculty position at Michigan State University. Tom has a B.S. (1974) from Michigan State University in Fisheries Biology, a M.S. (1976) from the University of Rhode Island in Zoology/Marine Ecology, and a M.M.A. (1977) from the University of Rhode Island in Marine Affairs. Mick is a fishery biologist with the U.S. Army Corps of Engineers in the Albuquerque District, NM. I have worked principally on Rio Grande habitat and population issues associated with the endangered Rio Grande Silvery Minnow since 2001. His academic background includes a doctorate in fisheries biology from the University of Oklahoma, with a BS and MS from Eastern New Mexico University. He is a past president of the Fish Information and Technology Section (formerly the Computer User Section). His career is currently focused on ecosystem restoration and management emphasizing Adaptive Management, Climate Change, and Habitat Restoration on the Rio Grande. This includes evaluating how the Rio Grande silvery minnow use of floodplain habitat for spawning and rearing, the interaction of hydrology and fluvial geomorphology on floodplain habitat, and ultimately leading to population dynamics. 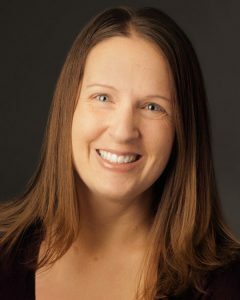 Kim has a unique educational background in both applied science and public policy, with a MA in Marine Affairs (2004) and a PhD in Biological and Environmental Science (2012), both from the University of Rhode Island. Her first career position was with the NOAA Fisheries Office of Habitat Conservation, where she supported regulatory efforts to promote habitat protection and restoration of coastal habitats and efforts to ensure successful diadromous fish passage around hydropower dams. Her doctoral studies were focused on the effects of tidal restrictions and plant invasions on energy flow through salt marsh food webs including how marsh health influences the physiological condition of fish. She now works as a Fishery Biologist for the USGS Southwest Biological Science Center, Grand Canyon Monitoring and Research Center in Flagstaff, AZ, where she started as a postdoctoral fellow in 2013. Her current research program investigates how dam management practices, specifically their impact on flow and water temperature, influence introduced salmonid population dynamics in regulated rivers across the western United States. She also uses biochemical indicators to quantify the influence of anthropogenic and natural stressors on fish physiology, life history patterns, and food webs. She has published in numerous scientific journals, served on proposal review panels, acquired funding from a variety of entities, given scientific presentations to broad audiences, and mentored undergraduate students and research technicians. When she is not working, Kim enjoys hiking, biking, and skiing with her husband Nathan, children Owen and Audrey, and Labrador retriever Gunner. 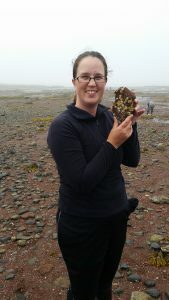 Amanda is a PhD candidate at the University of New Brunswick in Fredericton, New Brunswick, Canada. Her doctoral research focuses on Atlantic salmon migrations through a large reservoir held back by the largest hydropower dam in the province, the Mactaquac Generating Station. In partnership with the Canadian Rivers Institute, NB Power, the Department of Fisheries and Oceans, the Ocean Tracking Network, and many first nations and community members, the Mactaquac Aquatic Ecosystem Study examines the whole ecosystem, including tracking all migratory lifestages of salmon using acoustic telemetry throughout the Saint John River. Amanda’s MSc (2013) quantified underwater noise at multiple sites in the Bay of Fundy, and related noise levels to harbour porpoise presence. Her free time is spent with her German shepherd doing agility courses. 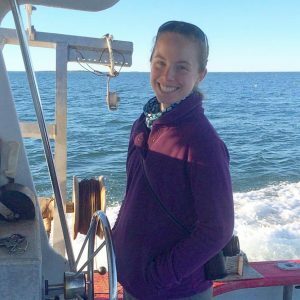 Elisabeth is a recent graduate of the dual-degree masters program at the University of Maine where she studied both marine biology and marine policy. Her research interests include marine ecology, conservation, domestic and international fisheries, and science communication.